Delivery cost is additional to the cost of your gift. For all delivery related questions, please see our page titled ‘Delivery’, this should answer all your questions, if not, feel free to phone us. The pictures seen on our website are a good indication of what you can expect to receive. As availability of fruits and baskets change from season to season and location to location, occasionally substitution is necessary. We are often asked why we don’t list exact fruits and quantities of each fruit included in our baskets. The reason we do not do this is that the availability, quality and cost of fruits change throughout the different months / seasons of the year. If a particular type of fruit is particularly expensive, we will normally put less of this type of fruit in, and more of other varieties. Quality – for example, at certain times of the year and particularly humid weather, strawberries can be of inferior quality, at these times, we will substitute strawberries normally with cherries, lychees, longans and extra grapes. 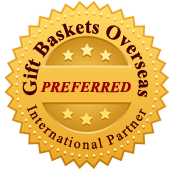 We do not manufacture our baskets, we create them to be a gift that we would be happy to receive ourselves. As you progress through the ordering process, you will be able to add a ‘card message’, select a ‘preferred delivery date’, and add any ‘special instructions’. When selecting a preferred delivery date, please refer to our delivery time guidelines located in the ‘Delivery’ on the home page. To redeem your product or discount you must enter a valid promotional code at the checkout. Not for use in conjunction with any other offer. Code may be used once only in any calendar month. If your promotional code states it is valid for a particular item, it is not available to use on any other products. If the promotion period has ended, your code will not work.